Sierra Blanca Peak, home to Ski Apache, rises more than 12,000 feet above sea level in south central New Mexico, providing stunning views of the desert lands more than 7,000 feet below, including White Sands National Monument. The resort is owned by the Mescalero Apache Tribe, as seen in the resort's staff and some decorative elements. The area also boasts the state's only (and ancient) gondola. It is 18 miles northwest of the town of Ruidoso and is easily accessed by car from Albuquerque (3 hours) or El Paso (2.5 hours). 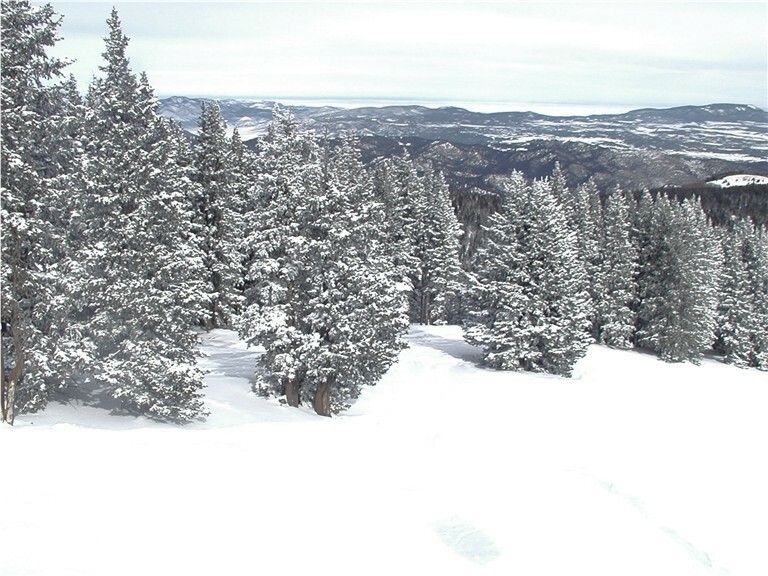 It has a nice mix of wide beginner slopes, tough bump runs, a huge bowl and nice cruising runs, and is very popular with skiers from west Texas. There's a casino, too. Ski Apache receives over 15 feet of snow a year, with 11 lifts that service 55 runs and a vertical drop of 1,900 feet. The slopes have everything from bowls, bumps, cruisers and terrain parks. Over 750-skiable acres await. Seven total: two cafeterias, three snack bars, two burger stands and two beverage bars. The ski rental shop and the snowboard rental shop offer top quality equipment, and the ski school instructs all abilities. Special all day kids program for 4 to 6-year-olds, Kiddie Korral. The state's oldest and largest Adaptive Ski Program, and special packages for first timers. Thirty-five percent snowmaking.